The Henry Moore Institute showcases a collection of remarkable and little-seen vintage photographs which explore how innovative photographic practice became central to the activity of the Bauhaus sculpture workshop in Weimar Germany. The sculpture workshop was a somewhat anomalous element of the influential Bauhaus school of art and design. Sculpture seemed out of touch with its unapologetically modernist outlook and struggled to find a coherent position within its pioneering programme. Towards the end of the 1920s photography provided a way out of this impasse. Led by Joost Schmidt, a former Bauhaus student now appointed as 'young master', the new sculpture workshop emerged in 1928 as an experimental arena with photography at the centre of its practice. Such photography went far beyond a documentary relationship to sculptural objects, instead sparking a dialogue over the nature and function of sculpture in modernity. Photography also proved a bridge between the esoteric traditions of sculpture and the materiality of mass culture by using photographs of sculpture for visual display and advertising. These strange and beautiful images became works of art in themselves. 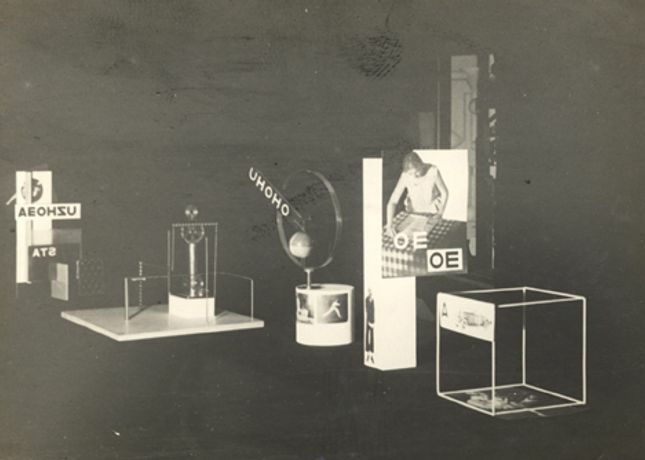 Chosen by Professor Paul Paret of the University of Utah, the 26 photographs from the Bauhaus sculpture workshop presented in this exhibition will include an intriguing mix of studio scenes and still lifes, abstract explorations of space, volume and perception, and studies and designs for advertising and exhibition stands.